Over time the paving can start to look like it is sliding all over the place and big gaps start forming between the bricks. If this is what your paving is starting to look like then don’t hesitate to get it repaired soon or you will need to replace all the paving. Nothing gets better with time, only worse so don’t leave it for too long. If you feel the paving just after the collapsed area you will find that all the bricks are all loose and easy to lift as the border has collapsed. Often builders that try install paving make a few basic mistakes such as placing plastic sheeting under the paving or instead of an edgebeam they install the paving with a collar. There are a few other areas that they fall down on but you will invariably call in a paving company to repair the paving after a couple of years due to incorrect installation procedures. 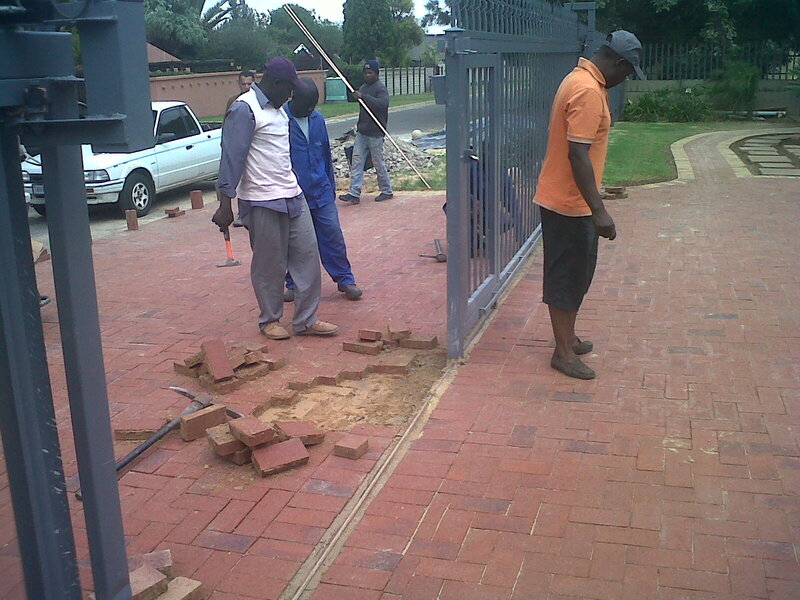 Get your paving repaired while it is still in the beginning stages and not when the entire paving area has collapsed. 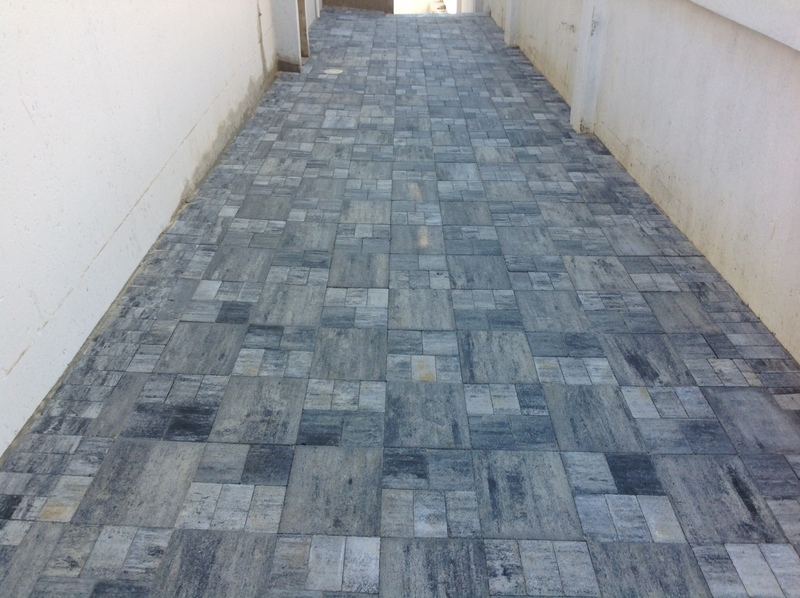 We and other paving companies offer free quotes, so why wait, call now. Flagstone entrance using Colonial stone. Paving contractors and paving tips. Paving is a word that brings a few images to mind such as, investment, aesthetics, cost, budget, home improvement and a host of other images. Some of the images are very beneficial and then there are others that are quite negative such as money and expensive. It is worth your while to spend a little time investigating not only the brick type and colour that will improve the value of your house but also compliment the aesthetics of the house as well. There are so many variations available as well as various colours that are also available that it is impossible for anyone to carry enough samples. I would like to recommend that anyone wanting to do correct and investment wise paving should do a little homework. I would suggest the following steps should be considered. A) Check the credibility of the various paving companies in your area. B) Find 3-4 paving installers to quote on your paving. D) To check if the sales person knows his trade, ask a question regarding the plastic used under the paving to prevent weeds growing. This sounds like a legit question, however, plastic is never used under paving as any water that finds its way under the paving needs to be absorbed into the soil and not accumulate under your paving on top of the plastic. If the sales person gives you an answer positive to using plastic under the paving he/she does not know anything about paving and needs to be shown the way out of your property. The above are just a few examples of how to go about investing in paving, please look through our site for more tips on installing paving correctly. A rustic look from Corobrick for your driveway. The new range from Corobrick is building up a storm as more home owners are installing these clay pavers on their driveways. 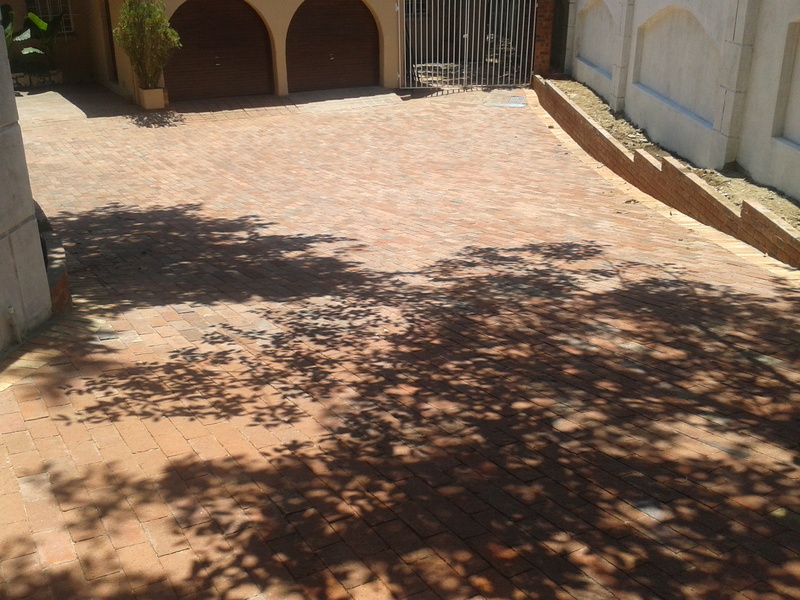 We recently installed a 300m2 driveway in Roodepoort with the Namaqua paving bricks. 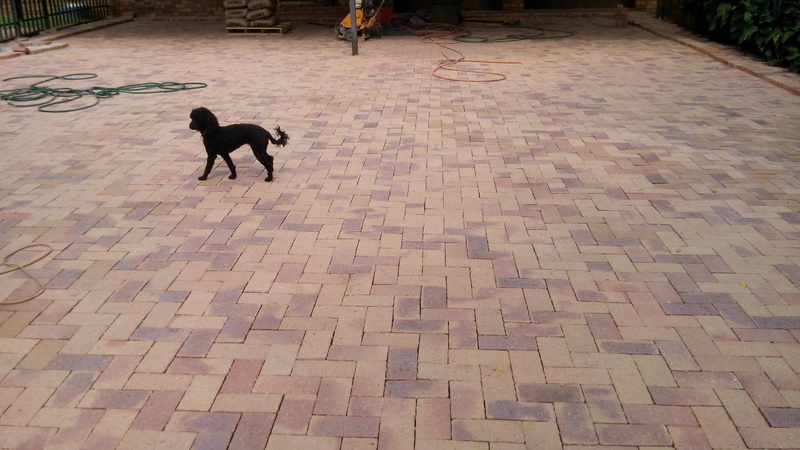 This new paver is much cheaper than the standard clay paver but it also has a look of its own. This means that you getting a long lasting clay brick at almost the same price as the cement bevel bond bricks. The rustic look is something the home owners have been looking for in a long time but only could get it from cement or concrete pavers. All paving installation companies have jumped into selling and installing this new range from Corobrick paving bricks due to its rustic appearance and cost. 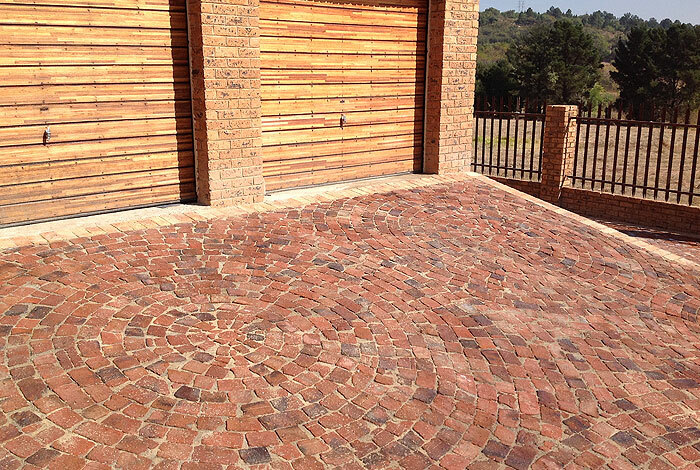 The sister product called Ironstone also gives a rustic look and feel but is red as opposed to yellow and is also making ground across Gauteng. 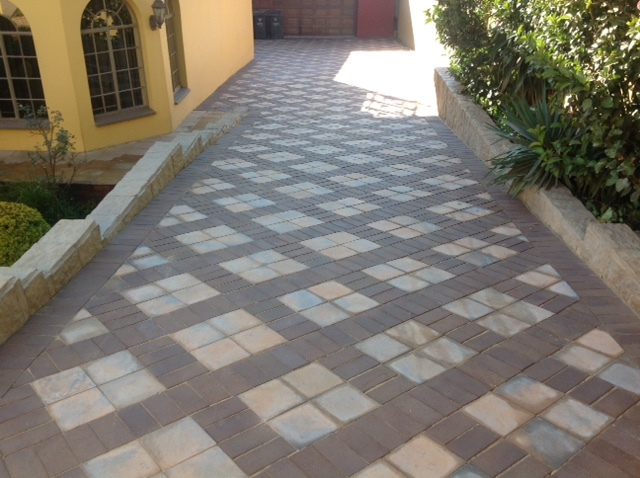 Corobrick Namaqua driveway installed in Roodepoort Gauteng. Before selecting just any available brick for your driveway or pool area, spend a little time at a brick yard near you to see some of the paving bricks that are available and talk to your paving consultant about the various options available. Remember that the first thing a potential buyer sees when driving up to your house is the paving. Ironstone paving at a school in Edenvale. One area that homeowners are aware of but often forget to tell the paving salesman about is the drainage problems that happen every time it rains. We had a situation that was evident and this time the client was not aware of the water problem. The ground felt very spongy when I walked on it and asked if they had recently done anything in the area which was to be paved. The owner of the house said that they put their sprinklers on 3 times a week but the ground was always quite spongy. On careful examination I saw that there was nowhere for the water to run off so it just saturated the ground. All the water ran to one corner and pooled there while slowly sinking into the ground and the ground was getting water logged. I told the owners of the house that the problem would multiply once the paving was laid as there would be no place for the rain water to drain and consequently it would simply pond and eventually begin to create a foul smell. Luckily the answer to this problem was simply to make a neat 10cm hole in the wall to allow the excess water to run out of this enclosed area. Not every water problem has a simple answer but there is always a solution if looked at constructively. Sometimes a simple raised header course is all that is needed, other times it may be that a drain needs to be built and in most cases it simply needs the paving to be laid correctly to allow the rain water to run away from the house and walls. Plastic cover on a underground gulley. Don’t ignore your water problem, discuss it with your paving company and let them propose a solution. You don’t have to accept their proposal but it could have a solution to the damp starting on your house walls. Try resolve the problem before it happens. When you employ someone to install your paving, you are hoping that they know what they doing and that the paving will enhance the aesthetics of your home, plus it must increase the value of your home. In a lot of cases, either the builder or the electrician, pool contractor or even the plumber will offer to install the paving and can even give addresses of where they previously installed paving to which home owners give the green light for them to go ahead and install the paving. Unfortunately the home owner only finds out a year or two later that the paving was installed incorrectly but looked good at the time when it was first installed. This is when we as a paving company get called in to fix or repair the paving. We recommend the following, ” Let each professional install or build what they have been trained to do and you will save money by holding each professional accountable for their own installation or construction. 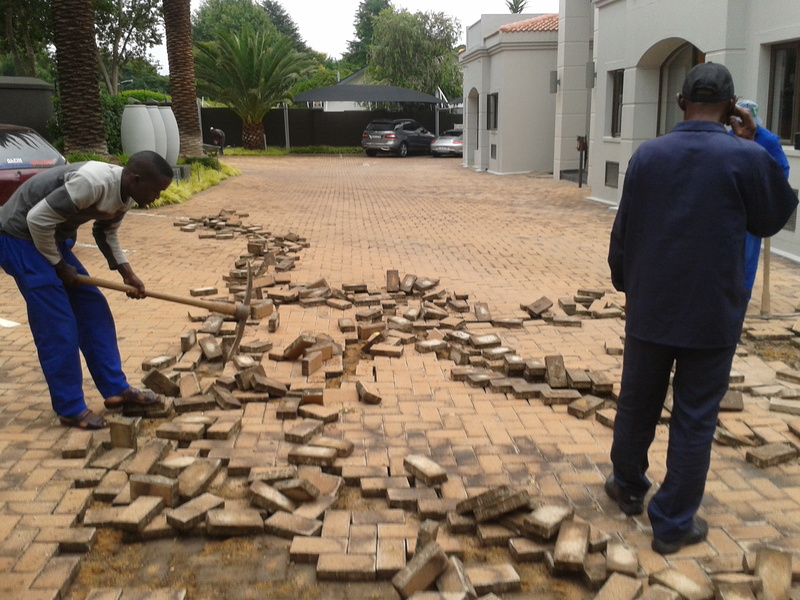 Take a drive through an estate and casually look at the condition of the paving and you will be shocked at the amount of paving that is busy collapsing due to incorrect installation procedures. Most of these paving installations have been installed by non paving people, don’t make the same mistake, call in a paving company to install your paving. Paving to enhance your investment. Planning your paving and grass areas around the house can be a bit complex and a little expensive if not done correctly. There is always good reasons to leave some grass areas for the children or for the animals to play on. Paving an entire back yard can end up looking very bland even if an expensive paving block is used. 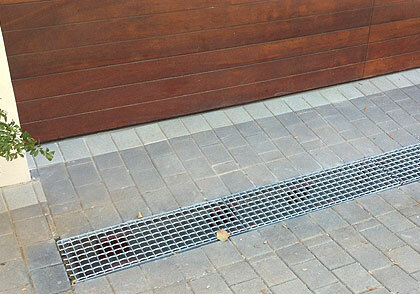 Home owners should always try to get an even balance in the paving and grass areas. They should not only see paving as a way around cutting the grass on a regular basis but they should also look at the overall look and feel of the possible new look if they are contemplating selling their house anywhere in the future. 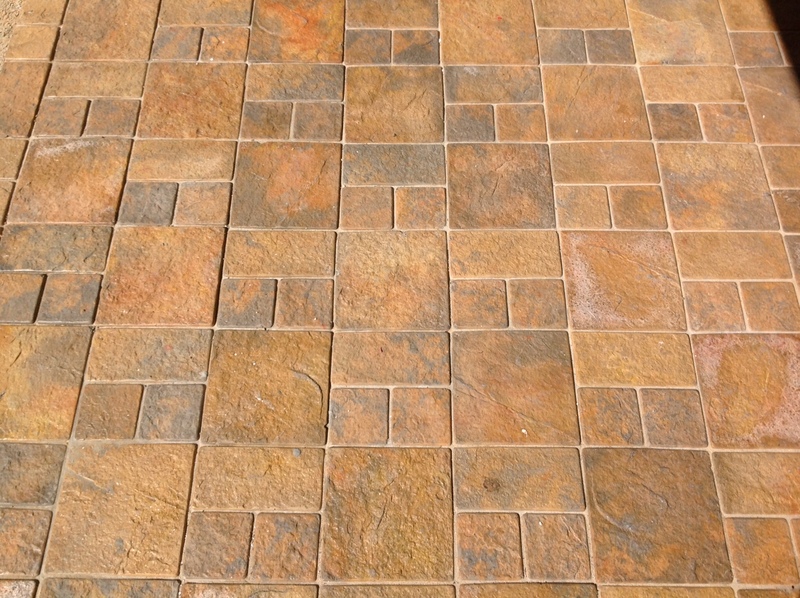 Paving has been around for thousands of years but only recently is it being used in many different areas around the house. As mentioned earlier, you may find that you do not want the time consuming job of mowing the lawn but remember that a few grass areas are always welcome to the overall look and feel of a property. Paving is not always the ideal solution to all of your problems even though it can be quite affordable. Paving is often a subliminal item and is mostly noticed only if it is tardy and breaking down. A good looking driveway is often sublimely accepted and lures a potential buyer to come inside to look further. Selecting the right paving block or brick can be quite daunting as there is such a wide variety of types, shapes and colours to choose from. One thing that you have to consider is whether you will be driving on them or just walking on them. If you are going to pave the driveway or a place where cars are going to drive or park on, then you have to ensure that the bricks are designed to carry the weight. Your driveway paving needs to be tougher than any other paving around your property. You also need to decide whether you want uniformity with the brick selection or if you are going to use different bricks for different places around the property. 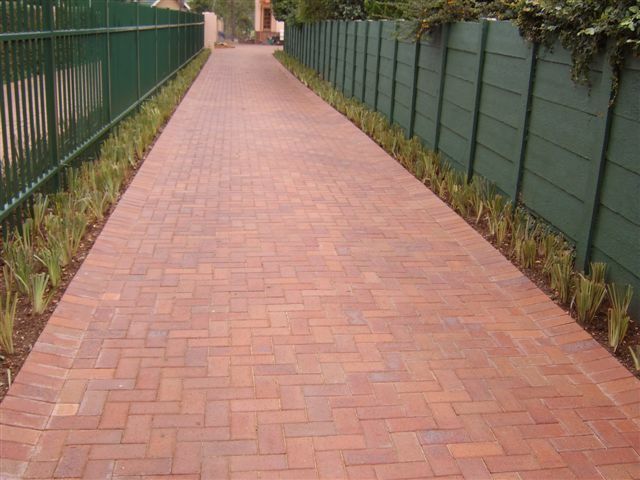 Once you have selected the brick and the colours that is going to be used and exactly which areas are to be paved, it is time to either get ready to pave yourself or call in an expert to do the job for you. 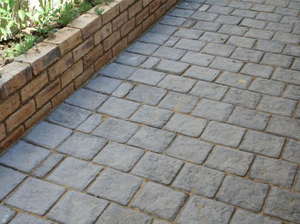 A suggestion is that you use a dark brick on the driveway which will not need a lot of maintenance and then consider using a light colour on all your borders as it defines the paving areas. On the other areas you could use any colour even a light colour but then again, consider using a darker colour for the borders. Your budget will determine how much of the area you can afford to pave although you can pave different sections at different times. One thing that should be stressed here is the purchasing of good quality bricks. Poor quality bricks will look good soon after the job is completed but will more than likely break down, crack and even dissolve back to cement powder within a couple of years making it necessary to pave once again. . If you decide to lay the paving yourself you will have to be confident and have some guidelines regarding how to pave. If the paving is laid badly then it will look awful and this can make the whole area look bad. Having stressed the importance of a good quality brick, I now need to highlight a couple of important things that need to be done before laying a single brick. 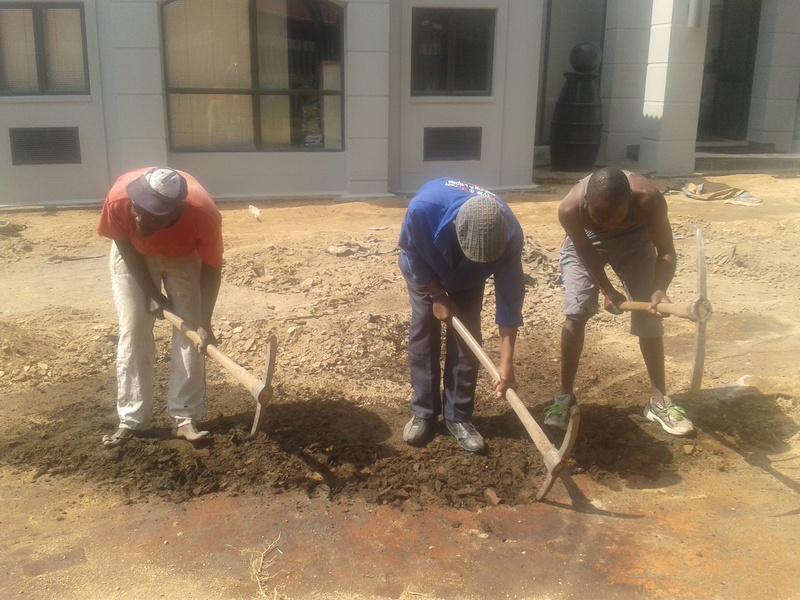 Scarify and clean the area which has to be paved, remove all grass and weeds, set your water run off levels, moisten the soil and then compact the ground with a plate compactor which can be hired at most hardware stores. Now that you have prepared the area correctly, you are now ready to lay those bricks. There are plenty tips and advice columns where you can get much needed advice before embarking on paving your property yourself, and I recommend that you get well acquainted with paving before spending and possibly wasting your money. creative thinking to enhance aesthetics. If you are in any doubt about laying the paving then it may be an idea to seek professional help. The professionals will be able to not only lay the paving but they will also be able to give sound advice on the best way to clean the paving once laid. 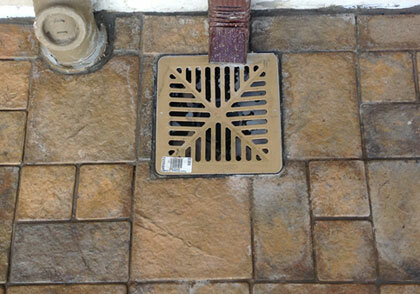 If you clean your paving correctly, it will last for far longer and need less maintenance. If the outside of your property looks as good as the inside then you will be adding value to your home. If you are aiming to sell your house one day, then your paving becomes very important as first impressions really do count. For most people the paving around the house and on the driveway is the last thing considered when building or renovating a house, yet it is the driveway paving that a potential buyer first sees when approaching a house. Paving should be more than just a path to the garage and the front or back door, plus it needs a little maintenance to retain your investment. 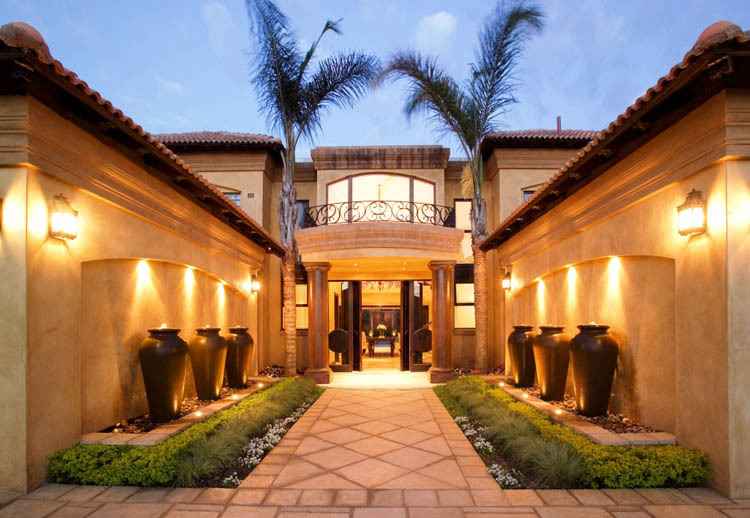 The first thing to consider is the brick type that will best show off your house and then the colour of the paving brick which will also compliment the house. 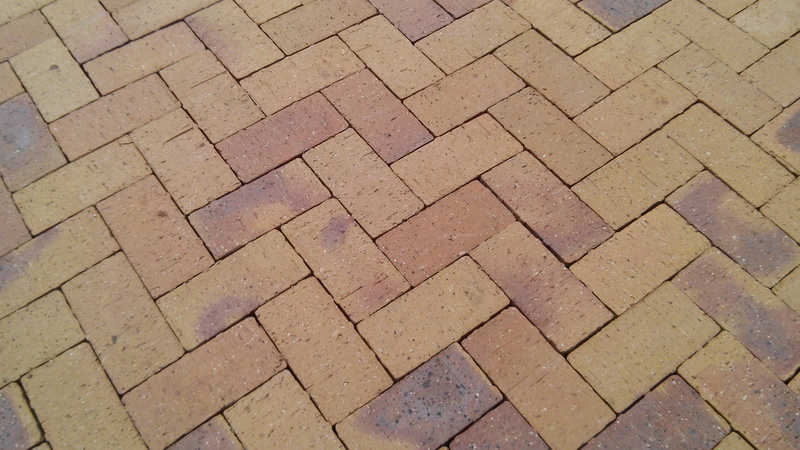 Always check if the brick or paver that you selected is suitable for a driveway as many paving bricks will not take the harsh weather conditions, most paving stone manufacturers agree that the brick or stone needs to also be a minimum of 50mm for driveway use. Then using a pen and paper you could design your paving layout and then using one or two long hose pipes or pebbles you could lay out your design to get a visual of just what the driveway will look like when finished. Will the driveway simply go as a straight line from the street to the garage or can you create a circle where cars can drive to the house and continue on the circle back to the street? Then will you have a garden running alongside the driveway? There is so much that can go into designing a presentable driveway and presenting your house in a more desirable manner. Even if you are not considering selling your house now, think of the day when you will sell and how your 1st impression is going to entice the potential buyer from coming in. Don’t just let anyone lay your paving as it is a qualified profession and even qualified builders often can’t lay paving properly but will undertake the job. For a maximum return on your investment, let builders build, pool contractors do your pool and paving companies install your paving. Contact Richard Arthur on 084 300 4220 (Gauteng) for more advice or a professional free quote.